It's been nearly seven years since Swiss Goth rockers Grimind released their MCD Escaped From Life, an album that I thought hinted quite strongly at the band's potential to be players in the radio-friendly rock scene (read my review here). Through the Eyes of Janus, their recently released debut full-length, finds Grimind continuing to blend catchy modern rock songwriting with touches of Gothic melancholy. 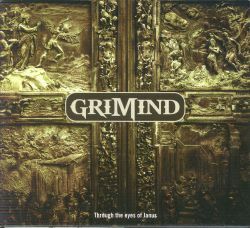 Though the core of Grimind's sound remains unchanged on Through the Eyes of Janus, the new album is much more polished and refined than their previous effort - clear evidence of the band's maturation as songwriters and musicians. The foundation of Grimind's sound is built upon dark, sometimes edgy riffs accompanied by an understated keyboard atmosphere. Whether called upon to deliver speedy riffs or proggy licks, guitarist Arnaud Nicod-Clément is consistently precise in his execution. 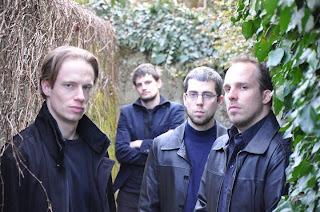 The menacing atmosphere of "Golem's March", the darkest track on Through the Eyes of Janus, is created in great part by Nicod-Clément's strong riffs. He shines again on "The One With No Name", a real headbanger of a track with some nice flair to the leads. Together with frontman David Agocs on rhythm guitar, Nicod-Clément puts together a solid, working-class performance that settles in nicely alongside the work of contemporary guitarists like Tyler Connolly and Joe Garvey. While Agocs handled the vocal, rhythm guitar, and bass duties on Grimind's previous effort, he relinquishes the latter instrument to Quentin Nussbaumer (who has a prominent part on "Following Their Prey") to focus more on his work behind the mic. Predominantly a mid-ranged singer, Agocs puts together a decent modern rock performance that is effective without being too flashy. There are a few instances over the course of the album where he falls off key a bit during a sustained note or a reach for a higher octave, but such missteps are easily overlooked. He takes an uncharacteristically aggressive approach on "Golem's March", flirting with a thrashy, almost death metal style, but alongside the harsher guitar tone his method enhances the impact of the song. 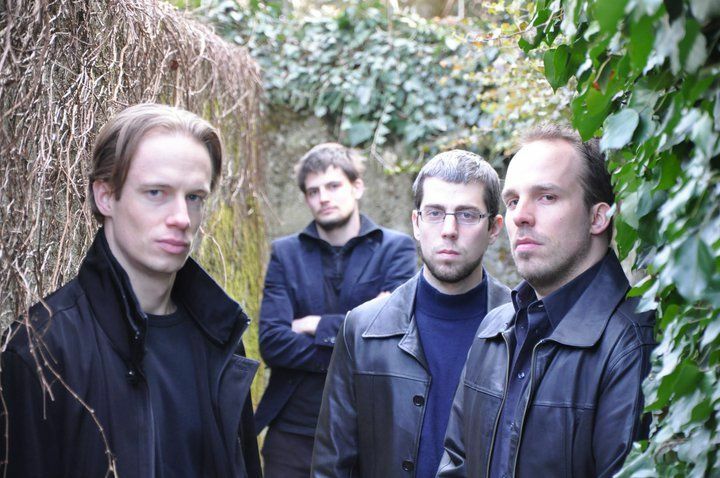 As on Escaped From Life, drummer Matthieu Cachemaille also handles the keyboard contributions and as such adds the most significant Goth elements to Grimind's sound. Mostly understated, never overshadowing the other instruments, the keys provide just the right amount of depth and mystery to keep Through the Eyes of Janus from blending in with the modern rock masses. "Suffocating Flame" and "Following Their Prey" have nice Gothic appeal, while the keyboard accents on "All Around Your Fears" are perhaps the catchiest element of the album. Grimind is a band that isn't averse to paying direct homage to their influences, and have so far included a Duran Duran cover song on each of their releases. This time around the band chose "Come Undone" and managed to put together a nicely updated version of the original. A bit of a retro-Goth treat that compliments a solid album of dark, radio-friendly rock.